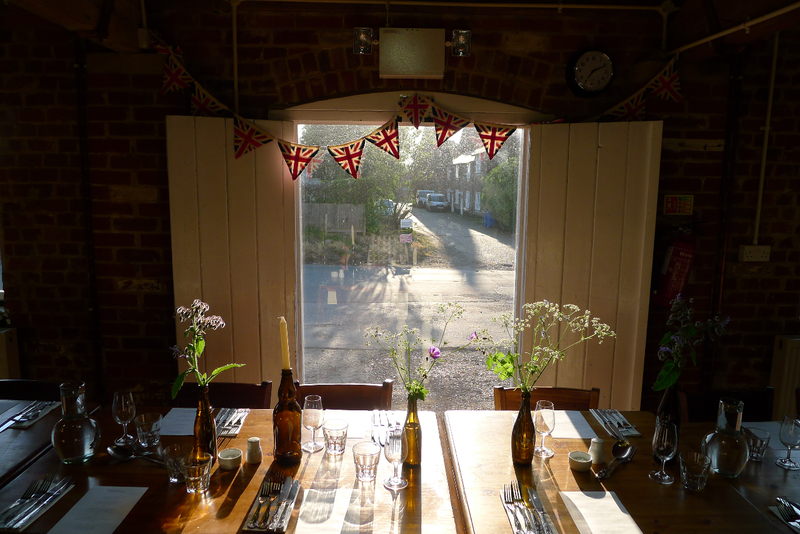 Words will follow to describe the very first supper club, just as soon as I can, but in the meantime a small selection of beautiful pictures taken by the very talented Lesley Davies-Evans. It was a wonderful event and thank you to everyone who came and made it so much fun. Extra special thanks to Macknade and Stefano for letting me use their wonderful space. 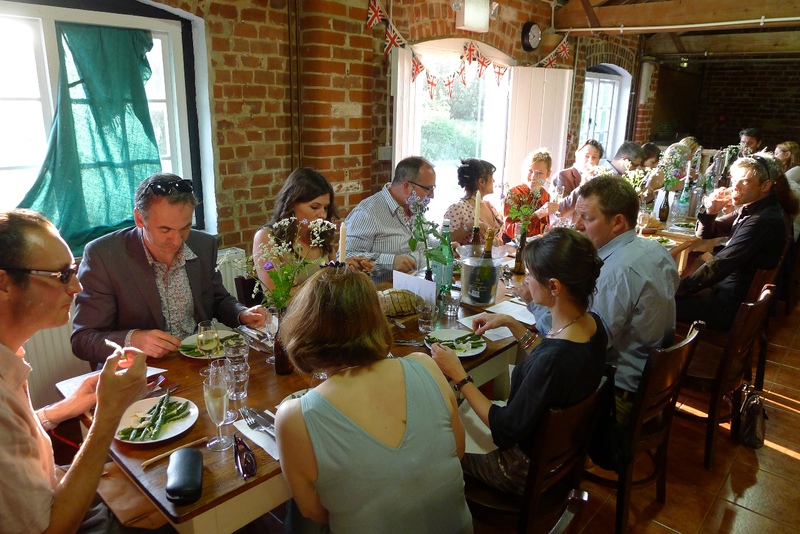 A couple of years ago I took part in a workshop that took place in Faversham as part of a study by the CPRE with the Plunkett Foundation exploring ‘food webs’ – the linkages and value between consumers and local suppliers of food. 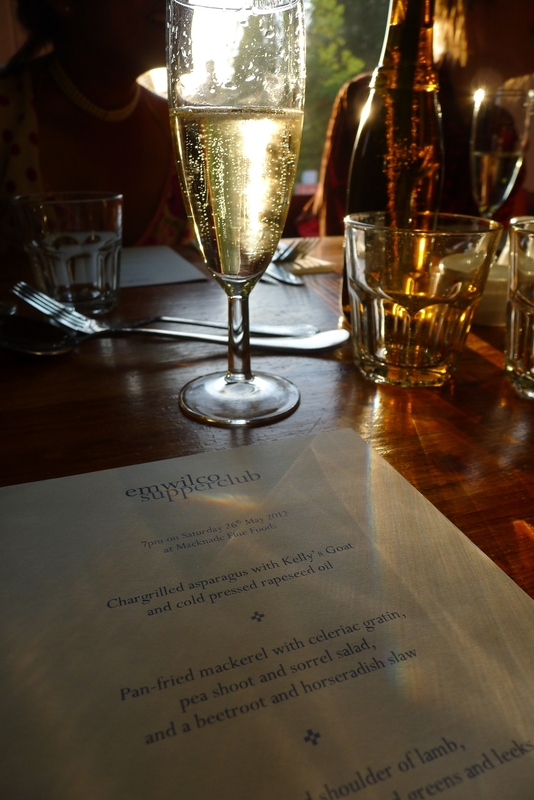 This week, rather neatly timed to coincide with the first emwilcosupperclub celebrating the wealth of local suppliers and producers, the report has been published and can be found here. It’s wonderful to see so many of the suppliers and retailers who I value featured in the report and for their value to be quantified and valued. Building on the town’s excellent foodie credentials are the ‘Faversham Food Trails‘ developed with Visit Faversham so you can take a walk and taste the goodies. The supplies are in, all bar the fish which will be coming straight off the boat in the morning. The rhubarb has been picked from the garden and gently poached with vanilla sugar. 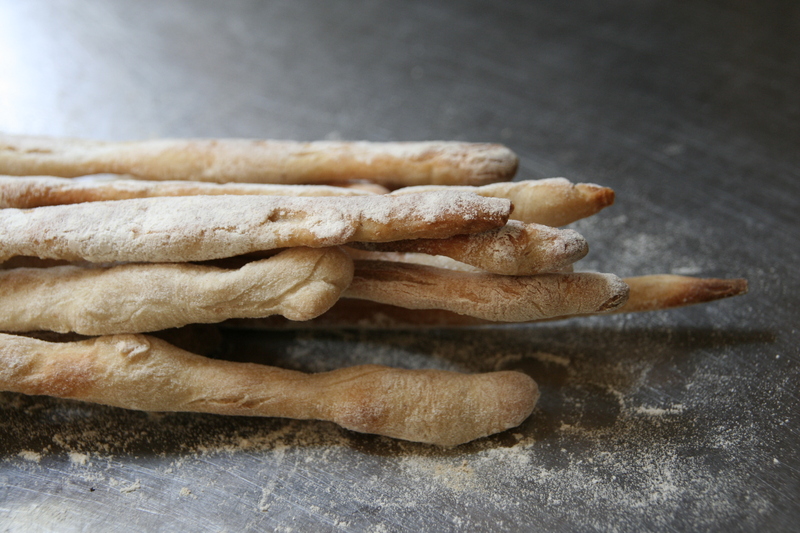 The bread has been baked; what a great day for sourdough, these high temperatures have helped it rise beautifully. I even managed to fit in the first ‘sea’ swim of the year with a wonderful half hour in the creek at the bottom of the garden. So it all happens tomorrow, and how exciting it will be! There are bound to be numerous tweets from my stalwart @mikeywil and I will post pics and links after the event. What all of this ‘weather’ it seems that gooseberries (local anyhow) are not going to be ready for next weekend. 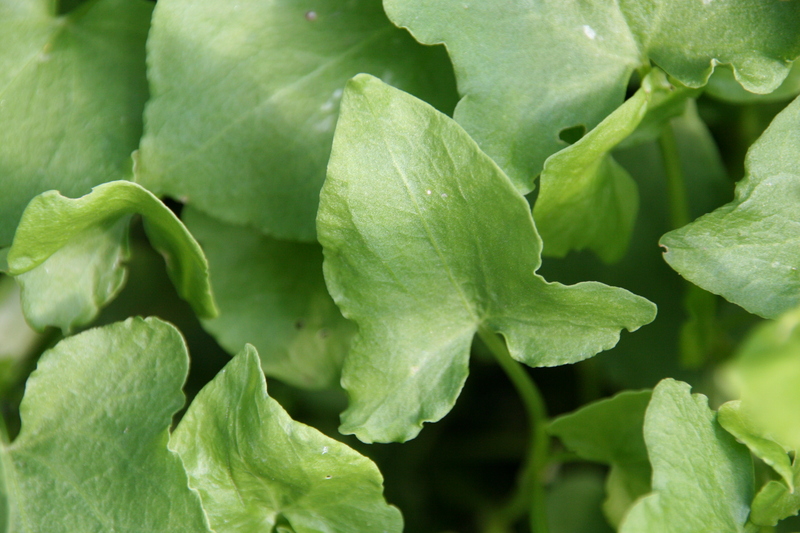 On the other hand the Bucklers sorrel in my garden, small green shield shaped leaves which pack a citrus hit, are well away. So last night I had fun testing and tasting some slender, just landed mackerel fillets with a little salad of pea shoots and sorrel. To add some striking colour and a wonderfully earthy hit, and inspired by a recent Drapers menu, I am adding a little grated raw beetroot and horseradish relish. Pretty tasty, pretty and tasty. Perfect. Thanks to everyone who has booked, all of the tickets have now gone which is fantastic! 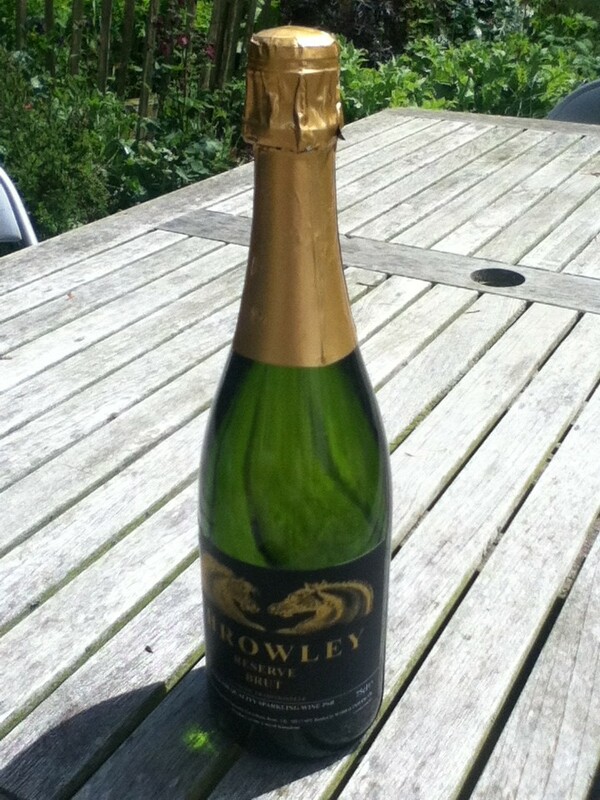 You won’t mind if I celebrate by tasting the Kentish fizz from Throwley I’m planning to serve do you? 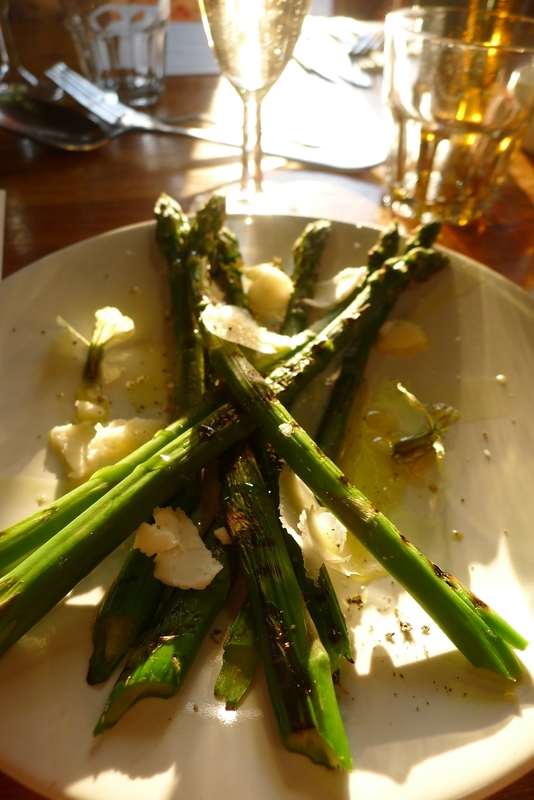 Having tasted the oils on their own it was time to put them through their paces with the asparagus. I blanched the stems briefly in well salted water before putting them on the griddle for a few more minutes, just allowing them to colour before turning. My chief tester (Mr emwilco) and I then dipped the charred spears into both the Andalucian oil and the rapeseed, having dismissed the french olive oil earlier. 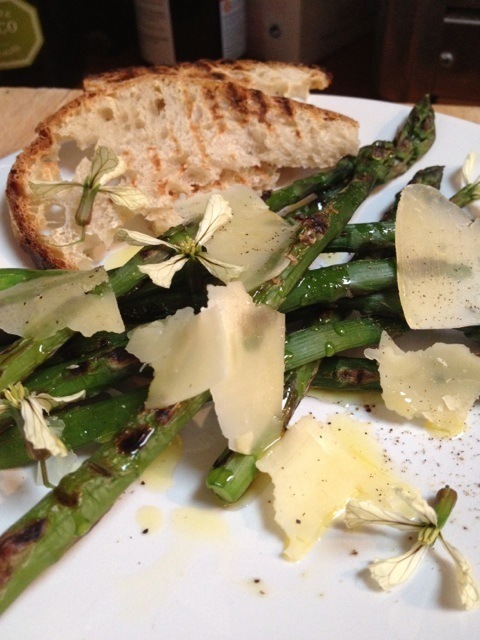 We decided that the rapeseed allowed more of the nutty asparagus to come through whilst still imparting its own gentle flavour. So to dressing the plate. Asparagus stacked loosely, a sharp grind of pepper and some Maldon salt before a not ungenerous dose of oil, finished with shavings of Winterdale Shaw a wonderful, semi-hard Kentish cheese. The final, and rather pretty, flourish of rocket flowers going to seed in the garden added a mild peppery hit. I’ve been having some interesting discussions via Twitter about the merits of rapeseed oil versus olive oil to dress the asparagus I am planning to serve on the 26th May; and as every good chef knows it’s all about tasting so I spent this evening with three oils and load of lovely asparagus from Owen’s Court. Whilst I love the ‘jumbo’ stems occasionally, with a soft-boiled duck egg maybe, my favourite grade is the fine or “sprue” which cooks in no time. I used to buy and sometimes pick asparagus at Blackbird Cottage not far from Faversham and would eat the superfine stalks raw as I picked, they almost have the flavour of a pea-pod straight from the plant. 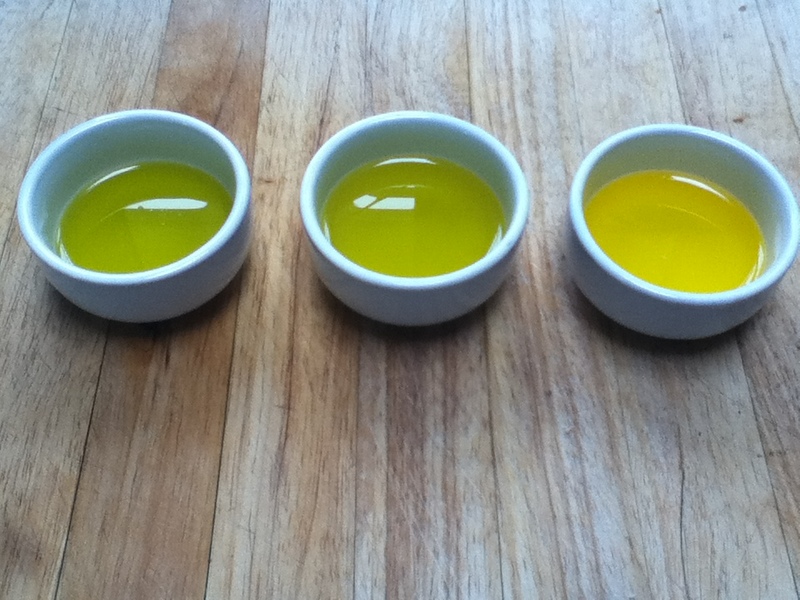 Before tasting it with the asparagus which I was blanching briefly, I tried the oil neat. The first was a gift from a friend who produces her own oil in Andalucia and which tastes powerfully of olives and finishes with pepper. It seems rather daft to say that an olive oil tastes of olives, but often it is grassy or peppery; this one tastes like you’ve just bitten into a wonderful rich black olive. 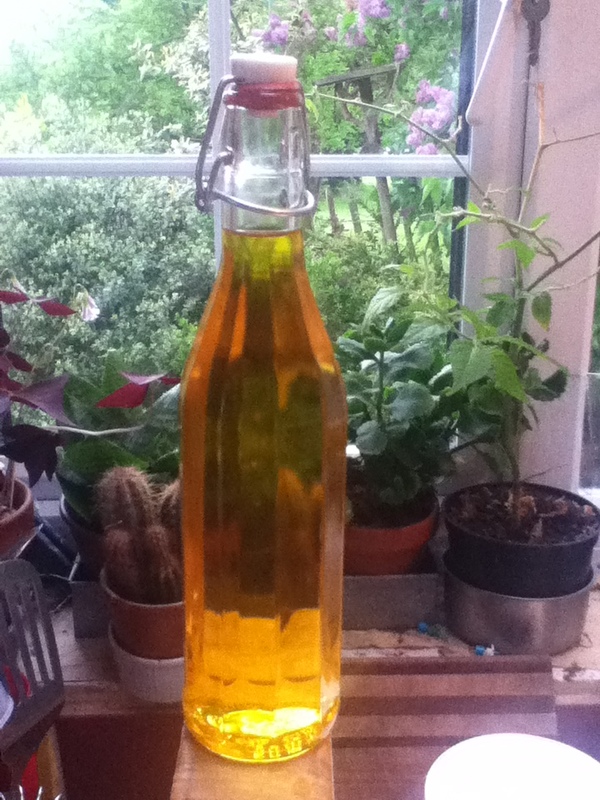 It’s an oil which I save for tomato salads when it brings even a sad glasshouse tomato to life and makes me think of sunny days – vital with this endless grey. 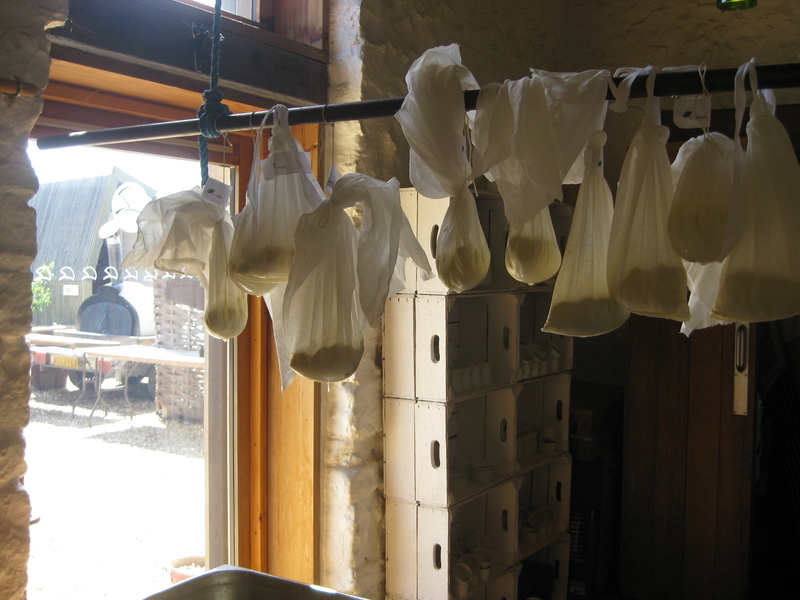 The second a traditional french extra virgin olive oil, nothing too fancy, the kind you might pick up on a day trip and use every day for everything – as I do. It was smooth and unremarkable, a hint of pepper but not much more.